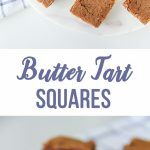 This Butter Tart Square recipe is a simple and delicious dessert recipe! A delicious gooey, sweet and buttery layer over a shortbread cookie crust. Recently I attended a pot luck dinner with at group of food bloggers here in Calgary. I always get nervous when I attend these types of things, especially when the attendees are foodies. There’s this extra pressure of needing to have a delicious and perfect dish when the people around the table know their food. I try not to worry too much because I do have confidence in my cooking (most of the time), but what I worry the most about is whether my dish is trendy enough. I know that seems odd, but foodies are an interesting group and often like to create cutting edge dishes. For me, I tend to stay with family favourite recipes, especially for pot lucks. Over the course of my life I have attended many many pot luck dinners. And church dinners, and town hall dinners, and town baby and wedding showers…and these types of potlucks have down home, delicious cooking. The kinds of classic recipes that are passed down from farm family to the next generations. So many of these dinners shaped the way I cook, and I’m proud of that. 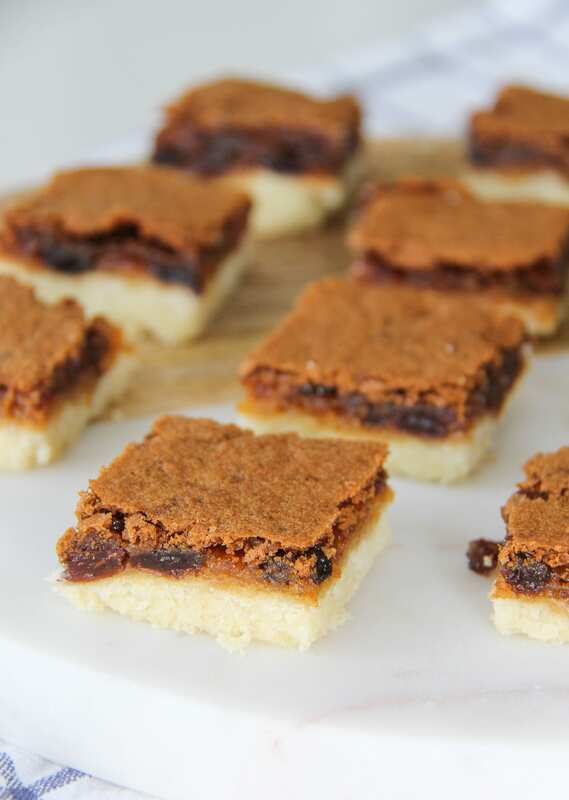 One of the dishes that I remember appearing at almost every family gathering we had, was the classic butter tart square. Either my Grandma, my Mom or my Aunties would bring this for the dessert table, and it’s what I looked for every time because they really are one of my favourite desserts. 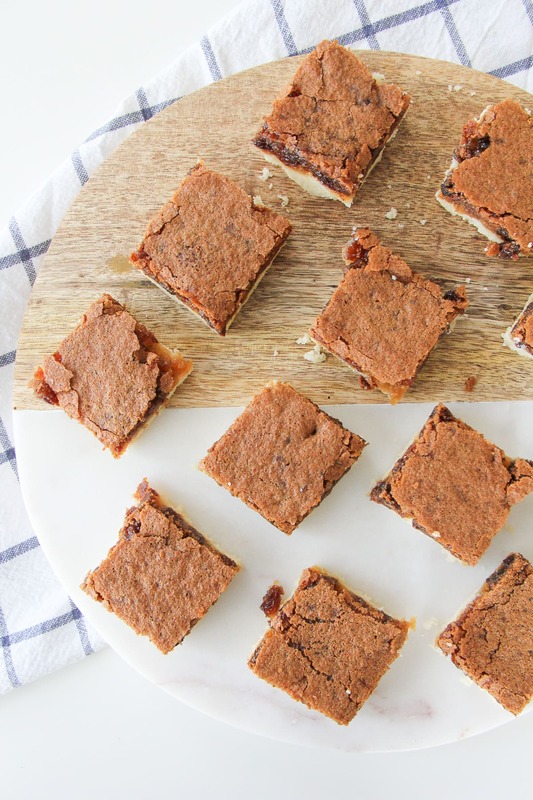 I love love butter tart squares. So sticking to my prairie roots, I decided to take a tray of butter tart squares to this pot luck dinner. And let me tell you I sweated bullets the entire drive over and for the entire dinner. Why? Because I was afraid that people would see them as too simple of a dish. But they’re a family favourite of ours and I wanted to share them, so I did. They may not be fancy, or trendy or cutting edge, but they are delicious. 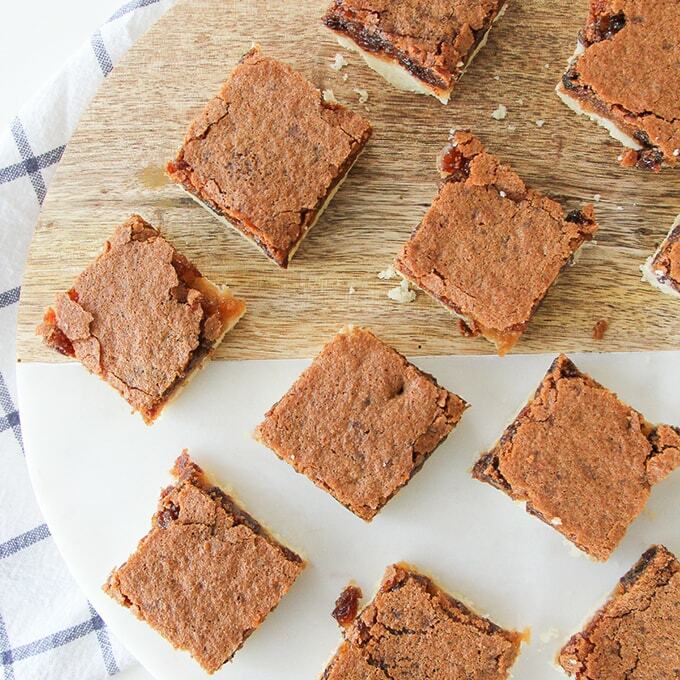 This Butter Tart Square recipe is really just a more simple version of the butter tart. 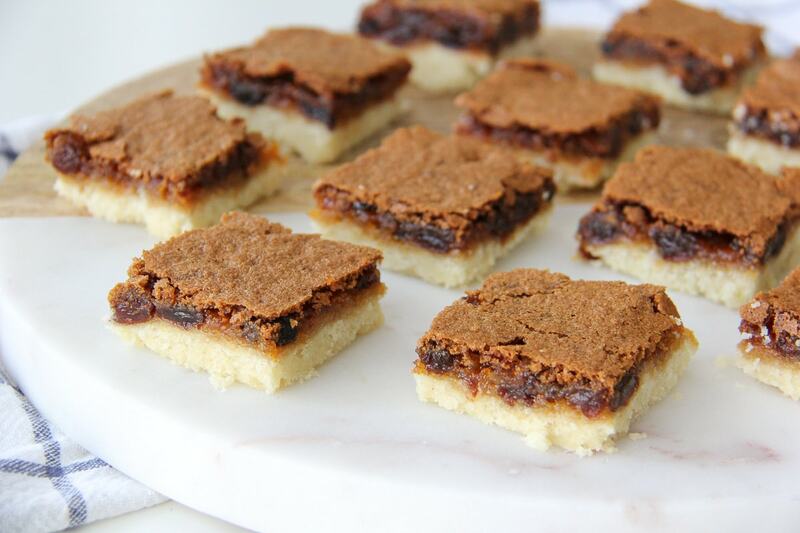 Classic Canadian butter tarts have a pie crust as the base, but Butter Tart Squares have a shortbread crust. 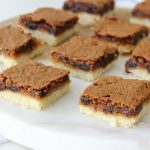 Butter Tart Squares are much more simple to make than tarts because you’re not fussing with pie crusts or individual servings. Don’t get me wrong, I do love me a butter tart…my mouth is watering at the very thought. I just really like the ease with which you can make this square, and at the same time have the flavour of a butter tart. The shortbread cookie crust pairs perfectly with the sweet buttery butter tart filling. I like my butter tarts and butter tart squares with raisins. No nuts, just raisins. Some people prefer them with no raisins or nuts, but that’s just bonkers. Butter tarts should only ever have raisins. 😉 I hope you enjoy this recipe! Using a pastry cutter, cut together the flour, sugar, salt and butter, until it is the consistency of sand. Press this mixture into a 9 x 13 baking dish. Set aside. In a bowl mix together the brown sugar, baking powder and flour. Set aside. 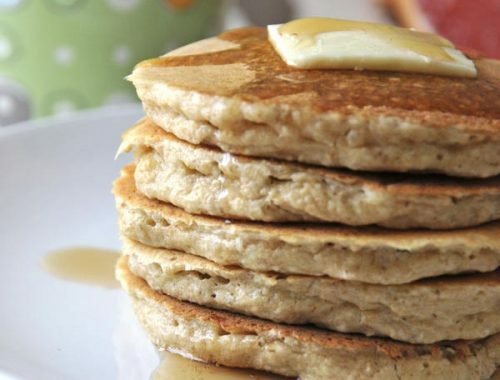 Melt the butter, then whisk in the eggs and vanilla. Then add the coconut (if you are using it) and the raisins. Combine. Add the flour mixture to the butter mixture, and mix well. Pour the filling mixture over the cookie crust. Bake for 35 – 40 minutes minutes. Let the square cool completely before cutting it into squares. If you can, wait at least 2-3 hours. 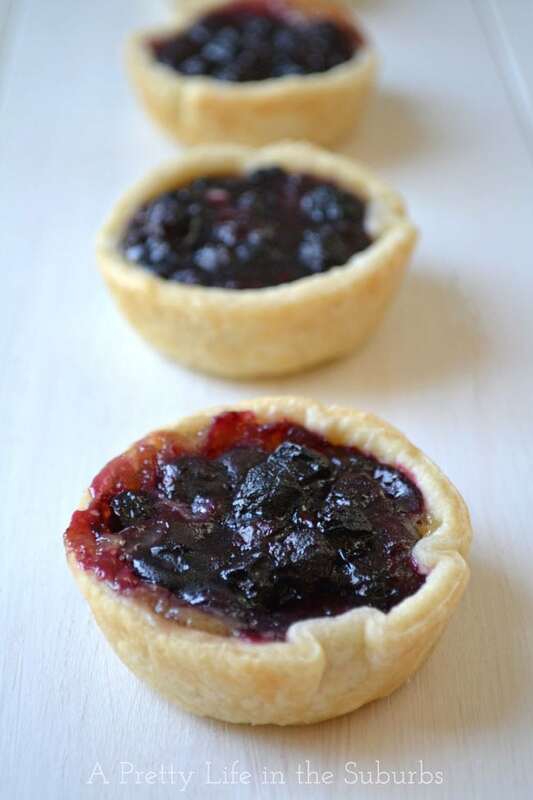 If you love Butter Tarts then you might also love these Saskatoon Berry Butter Tarts! What’s For Dinner? Comfort Food! Meatloaf! 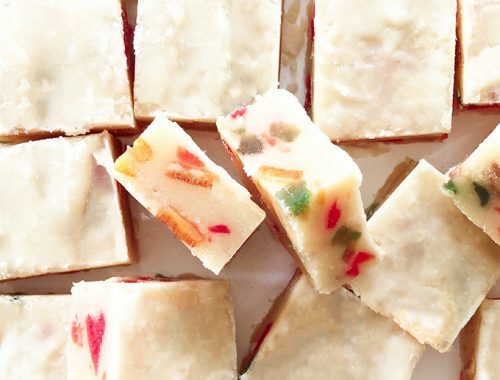 This is the same kind of recipe I grew up with – a shortbread base and the yummy top. Looks delicious! Not sure what I did wrong but my base turned out pretty raw–left it in stated time and top was looking pretty crispy brown so I didn’t want it to burn. Perhaps I should have left it in longer. I baked mine in a glass pyrex dish. What kind of dish do you use please. The filling was yummy though. I’m going to give it another go. Thanks for the recipe.